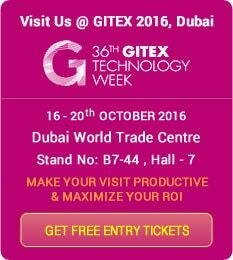 ANGLER Technologies, a renowned India based IT Outsourcing Company is glad to announce its participation in the 36th GITEX Technology Week organized to happen in the month of October. This year we have thoughts to showcase our cutting edge e-business products, technology expertise that caters to the diverse needs of the industry in Dubai World Trade Centre at Hall No: 7 Stall No: B7- 44. GITEX, being famed as one of the top three ICT events worldwide, annually anticipated Information and communications technology (ICT) trade event across Middle East, Africa, and South Asia we make our active presence in this one-of-a-kind event to build successful relationships with Middle East market. We will make the best use of this opportunity to meet with our existing vendors, discuss strategic initiatives and plans with our channel partners, reaching new potential customers, tying up with new vendors to grab big business deals or contacts. GITEX serves exhibitors to make vital connections with fellow industry experts, influencers and senior decision makers across all industries. To make ANGLER your offshore outsourcing partner for software development projects, Register Online and get free tickets to meet us at Hall No: 7 Stall No: B7- 44, and experience how ANGLER could be your Value Added Offshore Partner with high incoming momentum of revenue for your business.